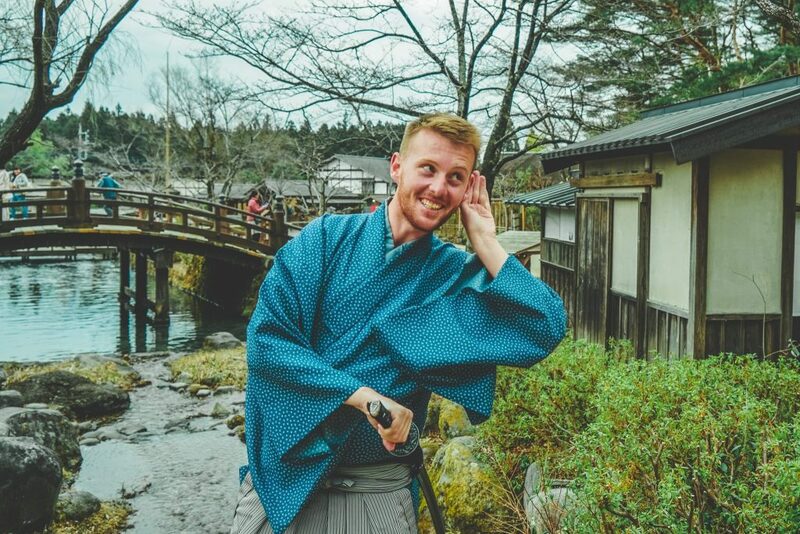 Just when you think you’ve seen it all, there are still many fantastic places to visit, and fun things you can do with your mates and loved ones, especially in this beautiful city. 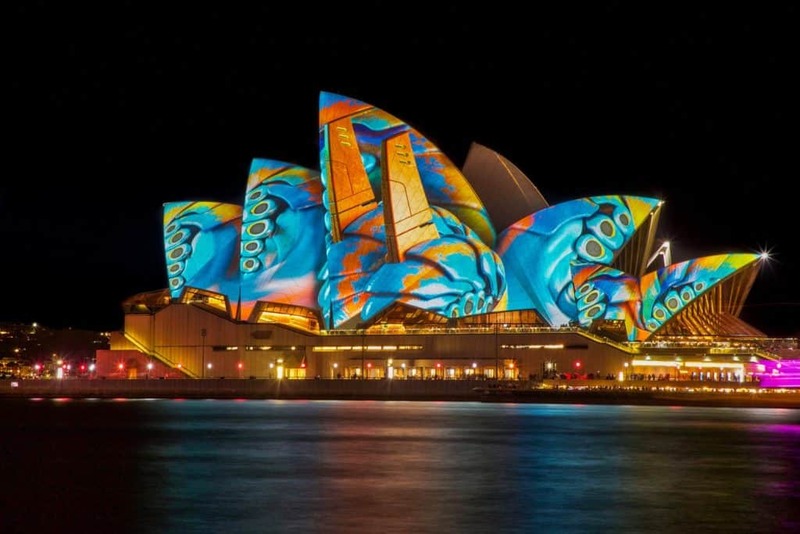 Whether you live in Sydney or are just passing through – this spectacular metropolis built on a glorious harbor has a wow factor few cities can match. There is always something on here, so coming up with an idea for some thrilling things to do in Sydney shouldn’t be hard – but just in case I have come up with some spots to allow you to explore this city properly. You’ll never run out of exciting spots to uncover, and you can easily visit them all by using a reliable and affordable car rental in Sydney, or maybe then – if your really adventurous – go and explore these 10 famous Australian landmarks to plan your road trip around! 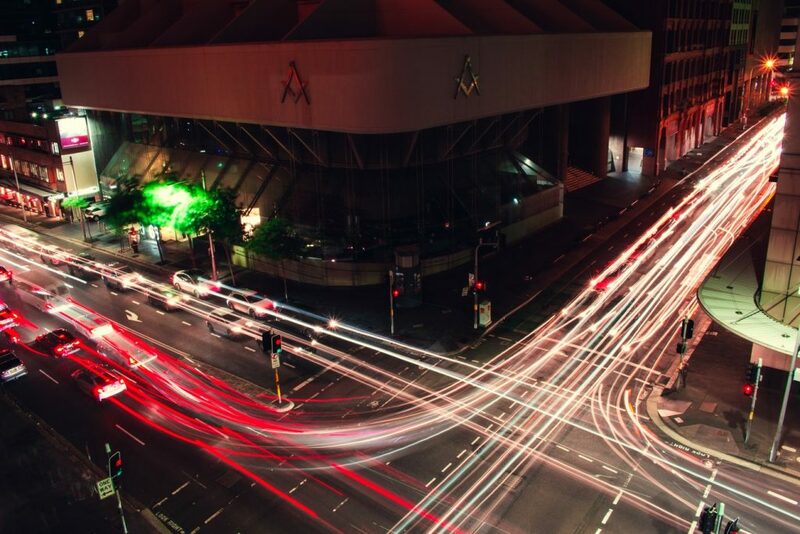 An Australia Road trip is always a good idea – just be sure to check how much it costs to travel around Australia before you go to avoid any surprises! Anyway, here are top underrated spots to see in Sydney recommendations that you shouldn’t miss. If you and your kids are up for a wholesome and educational family activity, then you should check out and meet the most dapper penguins at SEA LIFE Sydney Aquarium. Get up close and personal with an amazing colony of King and Gentoo penguins by joining the SEA LIFE Penguin Expedition. Take your kids and hop aboard a raft and journey through an immersive Macquarie-themed Island exhibit. But that’s not all. 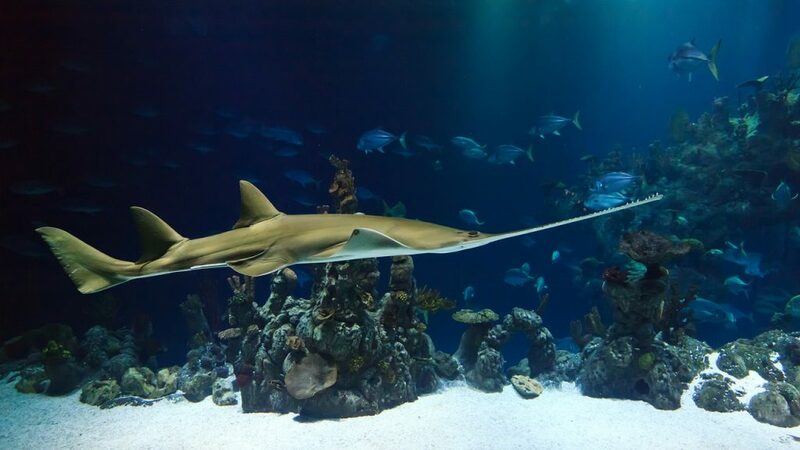 You can also see a wide variety of fascinating animals, like the majestic dugongs, incredible sharks and sawfish, wonderful seahorses, stingrays, and thousands of tropical fish, among others. No list of thrilling things to do in Sydney could ever be complete until you enjoy a jet boat ride of breakneck speed across Sydney Harbor with spins, splashes, fishtails, and dashes! See Sydney Harbor’s famous and iconic sights, including the Opera House, the Harbor Bridge and more – plus you’ll even get a commentary from your Sydney-born guides who will tell you about the famous skyline sights so you can come back heart-racing and filled with fun facts. Try an unbelievable combination of sightseeing and fun that makes it an unforgettable ride and experience – and if you are in town with your partner, it is also a romantic addition to your Sydney holiday plans. Ok – we admit it. We are absolutely obsessed with Wake Up! 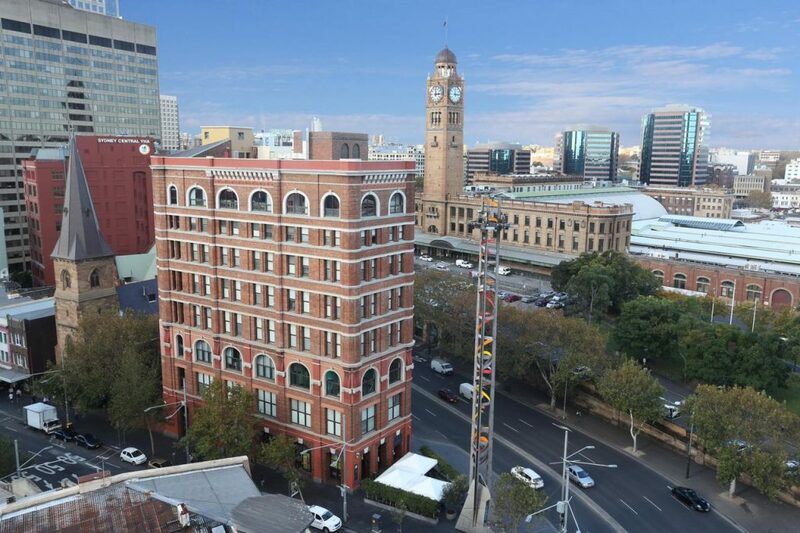 Sydney, and think it is some of the best budget accommodation in Australia. 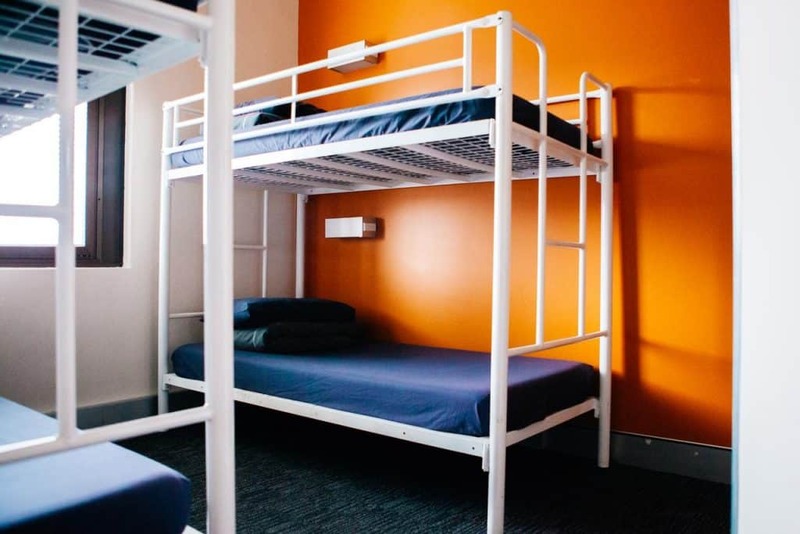 Hostels have a bit of a bad rep in Australia, and are often overrated – but not this one. 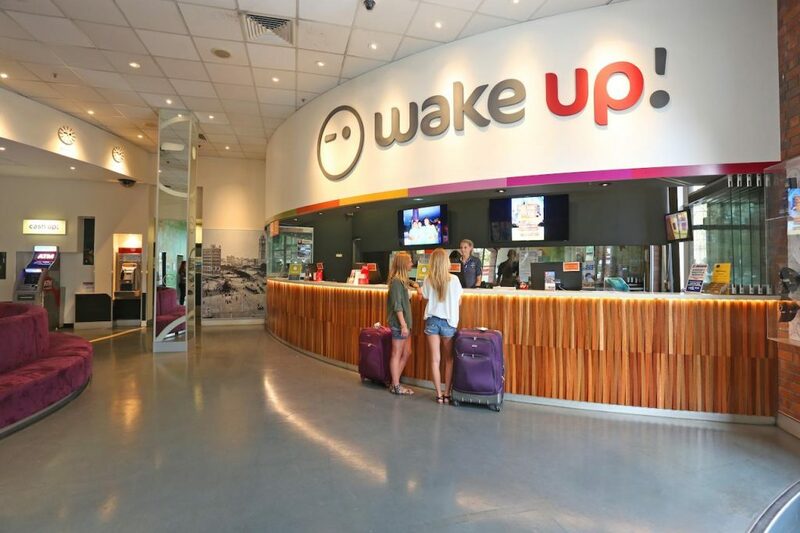 Wake Up Sydney has a thrilling combination of 24-hour check-in, a super central location, modern (and so clean) private and dorm rooms to suit different budgets and a happening bar + relaxed cafe to meet and interact with other travelers. 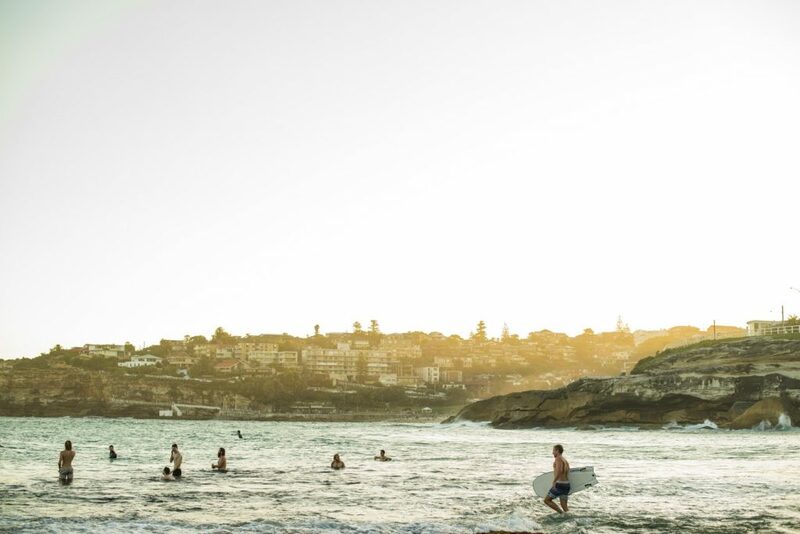 Perhaps the biggest drawcard, however, is the insane range of activities they put on daily to ensure your stay in Sydney is nothing but boring. By day expect city tours, beach walks, yoga classes, markets, and a killer pub crawl every Sunday – or stay in with their insane daily deals on drinks, snacks, and food. There is even a Free Wine, Cheese and Champagne event weekly. 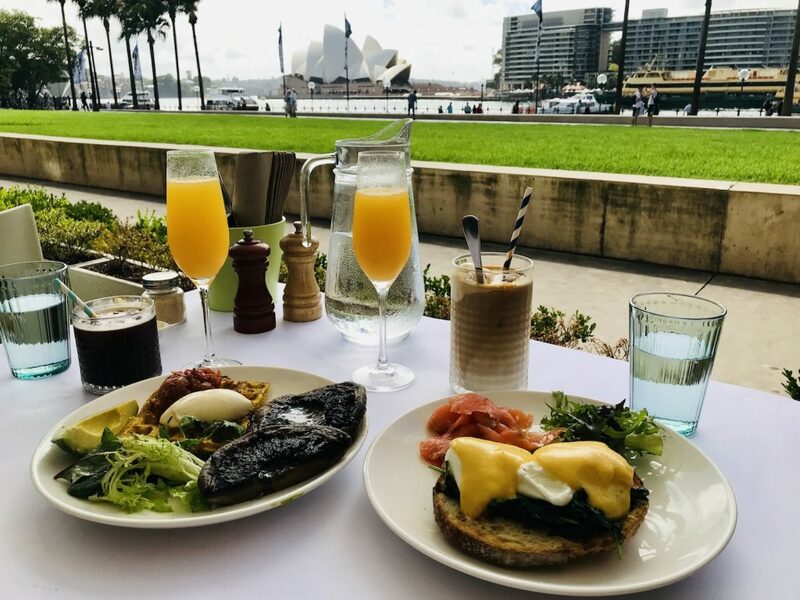 Always social and never, ever boring -Wake Up Sydney is everything we wanted to make our stay in Sydney affordable and utterly unforgettable. Want to overcome your fear of heights? If so, what better way to do it than to visit the Skywalk at the Sydney Tower Eye, an extremely high outdoor structure where you can casually stroll around outside of the tower and get a 360-degree bird’s eye view of the gorgeous city. But if that’s too much for you, just head over to the observation deck and appreciate the breathtaking view of the city on a sunny day. 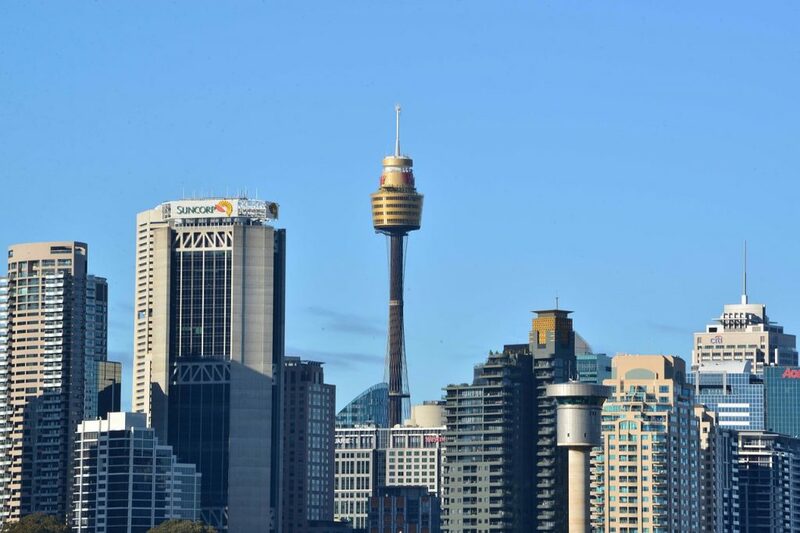 You can also take advantage of a bundled package tour of the Sydney Tower Eye Observation Deck and Skywalk and a 24-hour hop on, hop off Sydney Harbour Cruise with Captain Cook Cruises. It’s quite funny to see the lack of attention the Sydney Fish Market receives as it is a large fish market that boasts a wide array of fresh seafood that Australia has to offer. 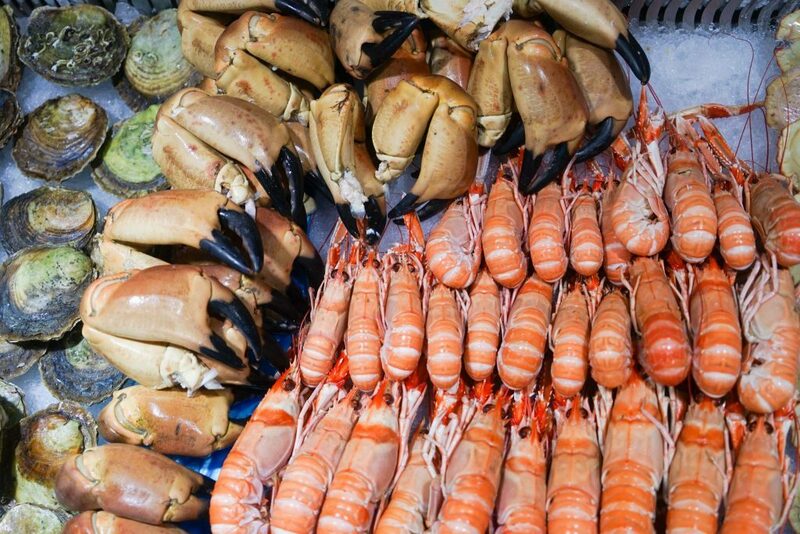 You don’t have to be a seafood aficionado to appreciate this place as you can also find other establishments, such as a greengrocer, butcher, bakery, and cafes. 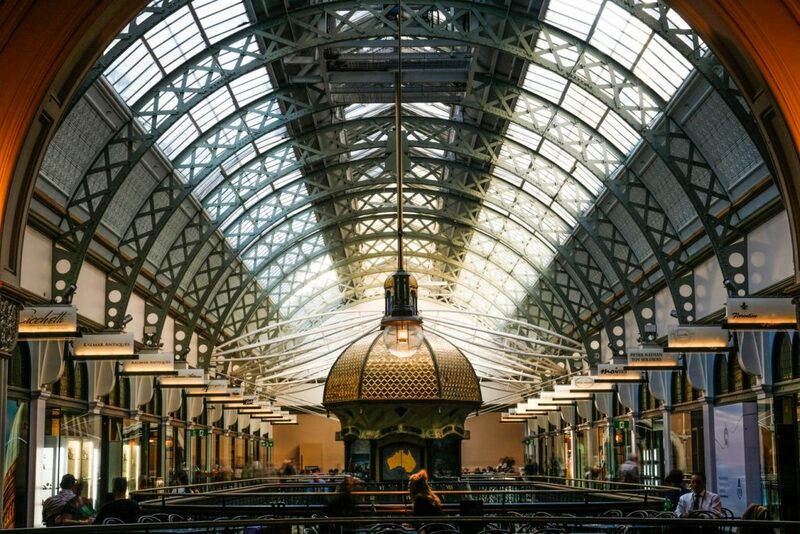 So, don’t forget to include the fish market in your itinerary. 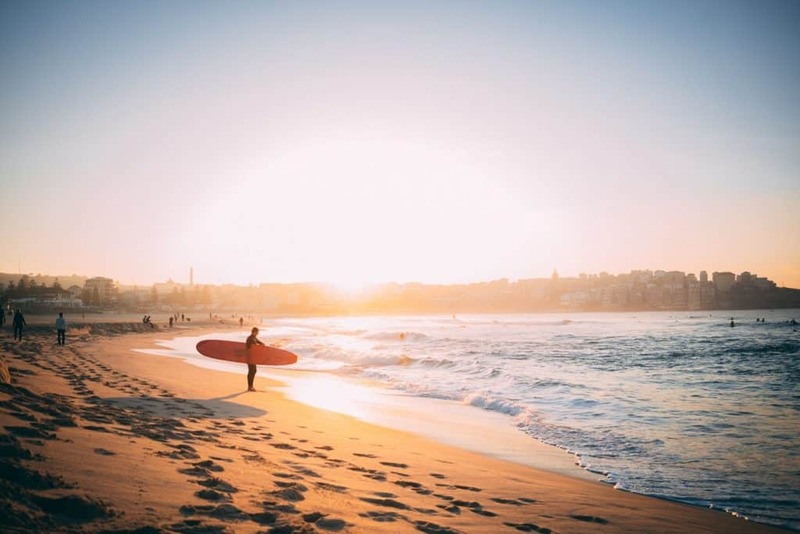 One of the most quirky things to do in Sydney that we could think of, why simply sightsee when you can awaken the thrill-seeking surfer within you during this introductory surf lesson at the world-famous Bondi beach. Let practiced surfer bro’s and bro’ettes show you have to catch made waves as they safely have you up and onto your first wave before you’ve had time to worry about falling off! With all key surf and safety rules explained, you will feel confident on the board in no time – and if you have aught the surfing bug you can always sign up for more lessons to discover you try potential – or just hire a board and get out there on your own. Kowabunga! Have an eye for design and architecture? Then you should add the QVB to your must-visit places in the city. This building took five years to build in commemoration of the Queen of England’s Diamond Jubilee. If you’re in the mood to go shopping, you will find plenty of stores to choose from, and you can also check out the two giant mechanical clocks on the upper floors that showcase dazzling dioramas and moving scenes from Australia and Europe’s history. 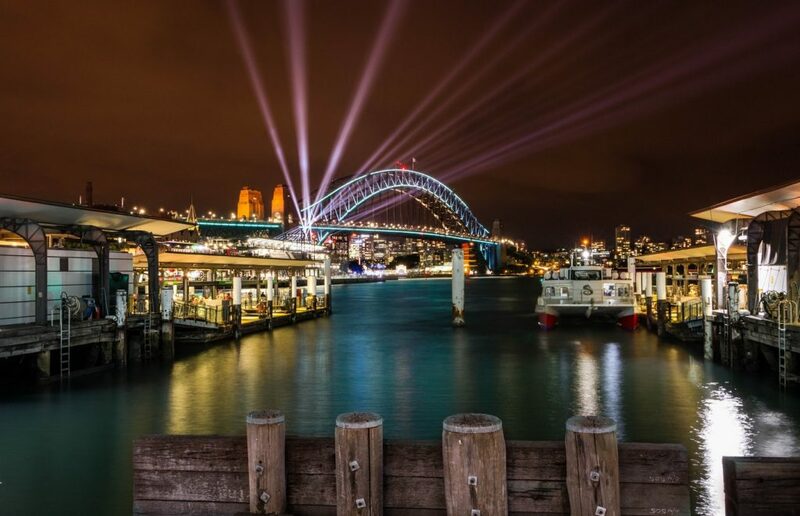 Luna Park is Sydney’s most beloved amusement park and tourist destination, so what could be more thrilling than wondering around here at night with your partner with lights blaring, sweet scents and faint screaming in the background. The views are absolutely spectacular looking back across the Sydney Harbour, but Luna Park also has plenty of fun rides such as the iconic Ferris wheel and the Wild Mouse rollercoaster, 61 dramatic seconds of terror and delight. 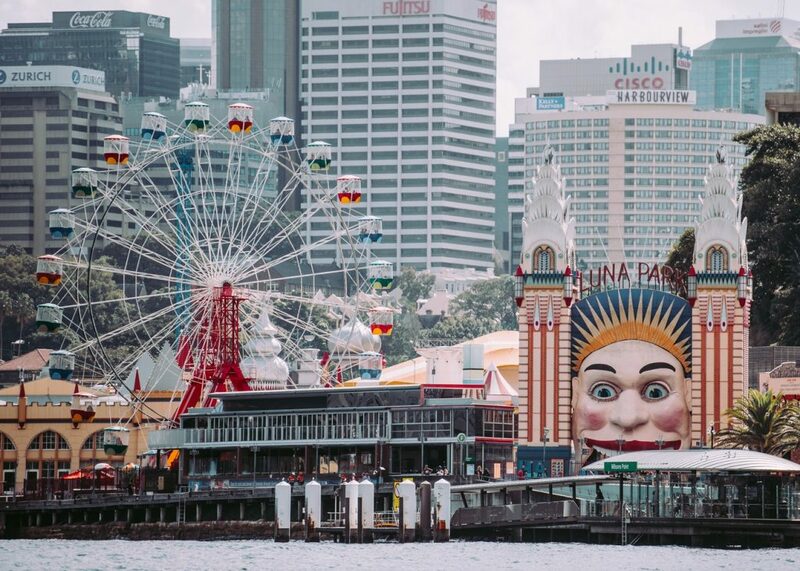 Easily reachable from Circular Quay via a frequent ferry, enter through the giant smiling face of the Moon and enjoy a fun-filled night out at Luna Park – one of our top must-visit places in Sydney! 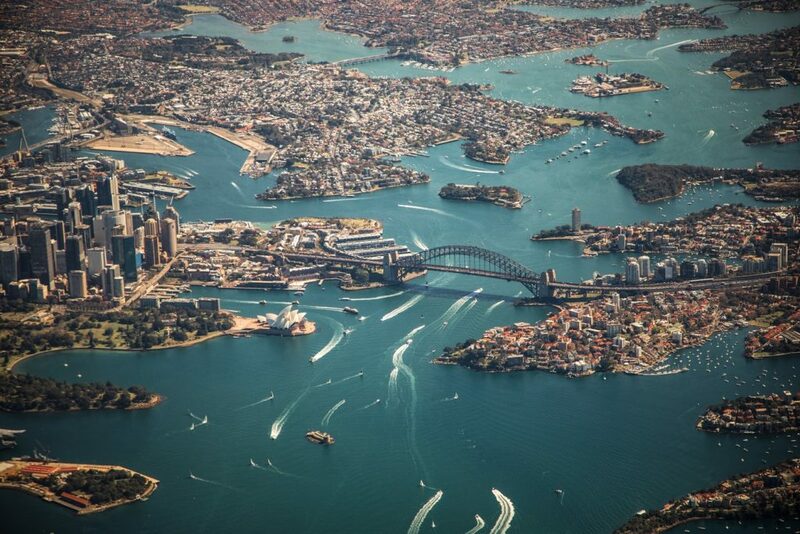 Sure it might be one of the most touristy things in Sydney, but it would be hard to overrate seeing the full panoramic views of Sydney’s eastern coastline, including Sydney Harbour Bridge and Sydney Opera House, offered from a thrilling flyover. Every passenger on this once-in-a-lifetime ride gets a great view no matter what seat they are in – so don’t forget your camera as you will surely get snap happy taking the perfect photos in the air of the cityscape as well as famous beaches such as Bondi Beach, Manly Cove and more. Thanks to a convenient launch location, take off is close to the city and Sydney Harbour, so your Sydney helicopter experience will be over the sights within minutes and you will get maximum enjoyment. And what is travel without a few splurges, right? Want to go on a snorkeling adventure? You don’t have to go far. Just visit Shelly Beach safely hidden away on Manly’s southern end. This place is a protected marine reserve that has become widely popular among snorkeling and scuba diving enthusiasts. If you want to see diverse marine life or just want to take a relaxing stroll along the bush track, then a visit to Shelly Beach is something you must not pass up. 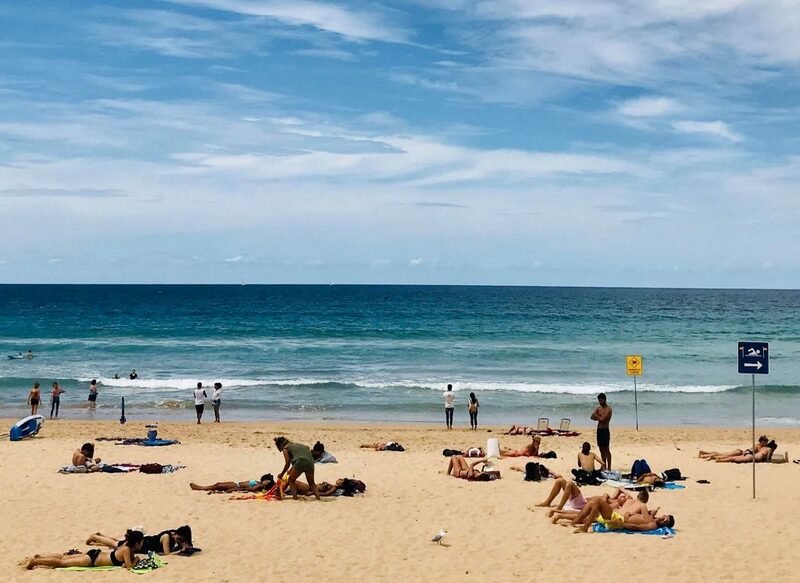 To add to the thrilling adventure – why not make your way to Shelly Beach via the stunning Spit to Manly Coastal walk, which weaves its way through a mix of lush bushland and scenic harbourside trails. A world-class series of short tracks totaling around 10 kilometer that takes you through some of North Sydney’s most remarkable beaches, bays, and inlets. The walk is well marked out and can be completed in around 2 to 4 hours, depending on your fitness level and how often you stop for photos. 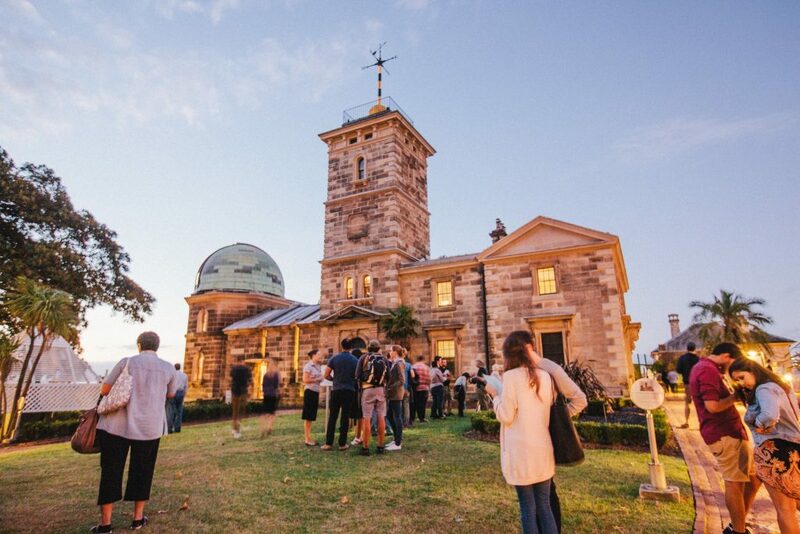 Speaking of underappreciated places, the Sydney Observatory is not something you should overlook. There’s nothing more calming and inspiring than gazing at the stars and just enjoying the vastness of space at night. This can also be a great learning experience for your little ones as they learn about science, technology, and so much more. Now that you’ve got all these ideas in your head and new places to explore, what are you waiting for? Go make your plans and head on over to a journey through space and time. 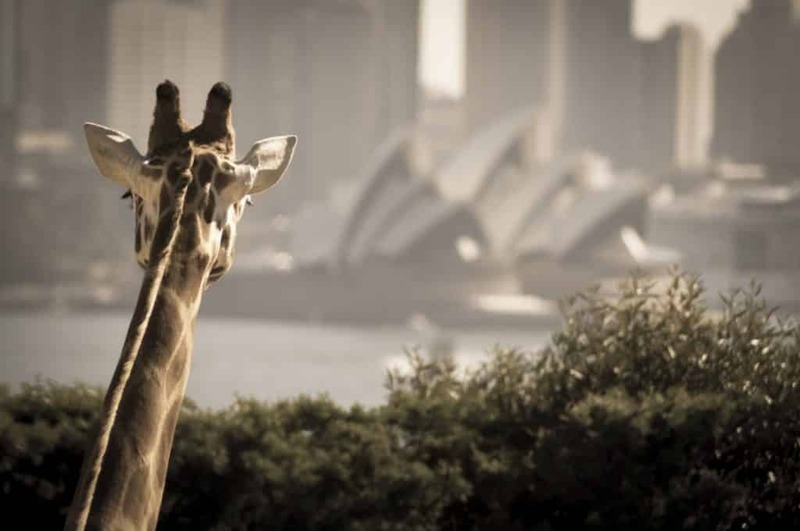 No list of thrilling Sydney attractions could ever be complete without mention of Taronga Zoo, one of the worlds most beautiful zoos offering panoramic views over the iconic Sydney Harbour – as well as an extra cute array of native wildlife and rare animals for you and your date to fawn over. Simple yet effective, wander the expansive 28-hectare grounds as you snap up close photos of some of the 4,000 animals (covering 350+ species) found here. 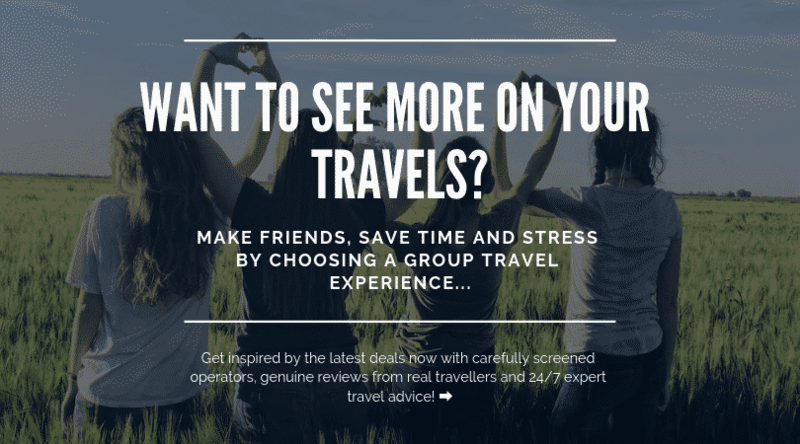 You can never go wrong with attending the informative daily bird and seal shows, or for that extra something special sign up for the keeper-led Wild Australia Experience or VIP Aussie Gold Tour of many of the adorable native animals. You can even camp overnight at the zoo on the Roar and Snore tour, which is certain to be a Sydney experience you will never to forget. Even if you are not a large animal lover, there is the Nura Diya Aboriginal Discovery Tour which investigates the connection between Australia’s animals, plants and landscape and Aboriginal Dreamtime. 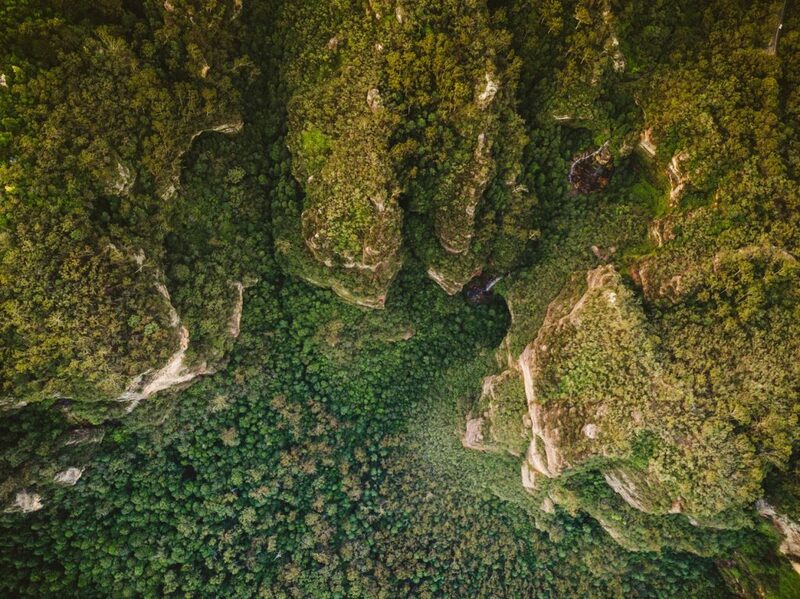 As exciting as Sydney can be, you should not pass up the opportunity to hire a car (or take a tour) to explore the glorious Blue Mountains just west of the city – and yet an entire world away. Stop by Scenic World and Echo Point, explore the adorable Leura Village for lunch, spot glow worms, work up a sweat on any of the trails or just pull over at all the photo stops along the main road – You’re in charge! And what could be more thrilling that selfies with koalas and kangaroos at the Featherdale Wildlife Park? Get your cameras ready for panoramic views of the valley and mountains in every direction, but take your map, don’t miss the enigmatic Three Sisters rock formation and wander to your heart’s content. A little adventure and fresh air in nature is perfect for everybody!